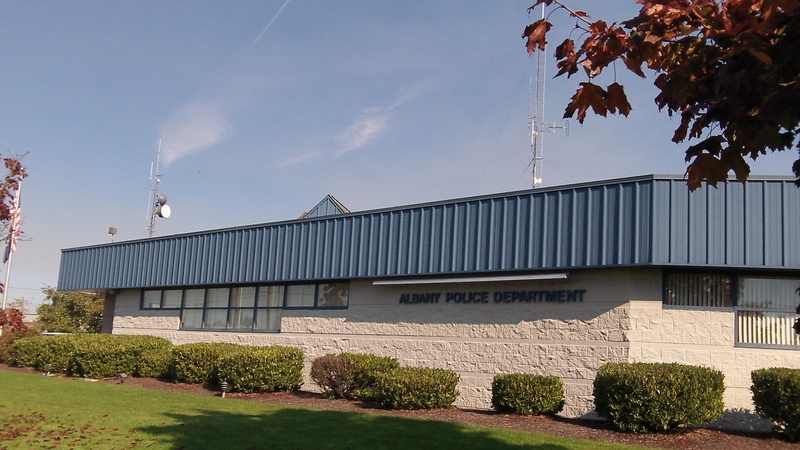 The Albany police station will have to serve for a while longer. The defeat of Albany’s bond issue to build new police and fire stations is a setback, no question about that. With financing costs relatively low and some money on hand from the Pepsi settlement, this was a good time to get this solved, but a majority did not see it that way. The explanation may have something to do with too many voters being skeptical of government, even local government, doing anything right. We are bombarded with reports of government missteps, from the disastrous early consequences of Obamacare to the state of Oregon’s expensive and so far fruitless planning for a new Columbia River bridge. On top of that we are daily feeling the effects of a lackluster economy where jobs are hard to come by and both the state and federal governments are making life more expensive and regulated while doing little to free the private sector to grow and hire more people, especially in rural Oregon where natural resources are one key to survival. Tom Cordier: You are correct to link apprehensions about city spending with the national picture. That said, today’s ADH quotes the mayor as saying they need to do a better job explaining the need. The need has been explained ad-nauseam. The build plan is still missing. The city’s decision to use “design/build” rather that “design/BID/build” is the reason for the no vote. I’ve asked the city to use Pepsi money to fund the scope/detailed construction plan/establish a build schedule/get bids/assign project responsibility and show spending cash flow. That process answers the “what do we get for $20M” question and negates the “no blank check” objection. The cost to repay the proposed bond is $33.6M. The council needs to do the homework before coming back to the voters. Christine Ruck , on Facebook: Voters want to know what they are buying in advance. Bait and switch has been the modus operandi of too many government entities and people are learning to be better consumers. The projects need to be better defined in advance, then and only then will people decide to make the “buy”. We’re at the dawn of a new day and the voters are understanding how to ensure their wishes are heard and respected. Yes, the facilities are needed. Yes, voters will have to deal with this need in the future. But what is that saying about insanity again? No one should expect a different election result until Albany city government changes its behavior. They clearly have a credibility problem with the voters. The election results of Measures 22-116, 22-117/119, and now 22-121 are proof of the problem. When the credibility gap is closed, a significant majority of voters will support legitimate needs like police and fire buildings. The City of Albany needs to talk to the City of Philomath. When I was on the City Council there we brought on Randy Kugler as City Manager. One of the first things he did was convince us to start saving money for identified Capital projects such as the police station and sewer updates. It worked! I saw in the news today that the mayor of Albany has heard of the problem with these buildings for 17 years. Why didn’t they take care of it a lot sooner? 17 years is a long time and you can save a lot of money during that time. Yes! City Hall definitely has a credibility problem. They tried to sell us on the idea that it would cost 20.3 million dollars, when in fact they knowingly withheld the fact that they also planned to add 5 million dollars from the Pepsi fund to these projects. Also, as home owners, when our properties need updating such as energy efficient windows or repairing cracks in concrete, we replace or fix them. We don’t just walk away from an old house and buy a new one. Why should we be asked to spend our tax dollars to do that?